We are a small family business in the peaceful town of Straelen. 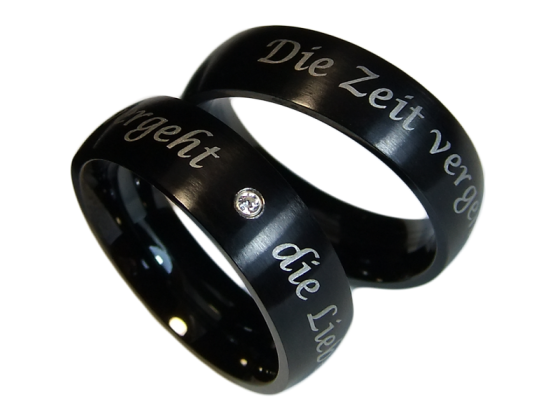 In our online shop kwo-trauringe we present an exceptional range of exclusive and fashionable rings. 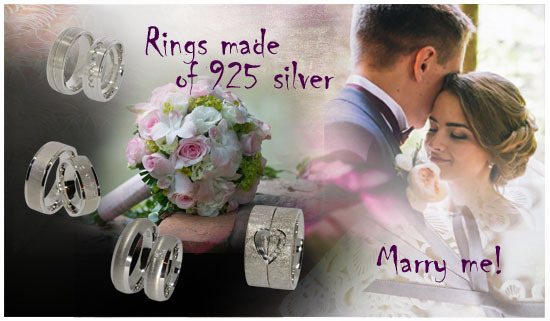 No matter what you are looking for - engagement rings, wedding rings or just friendship rings - this is the right place. 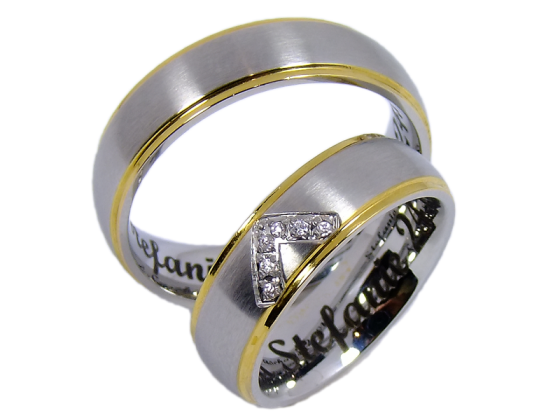 Browse at your leisure through our collection and convince yourself of the various materials. 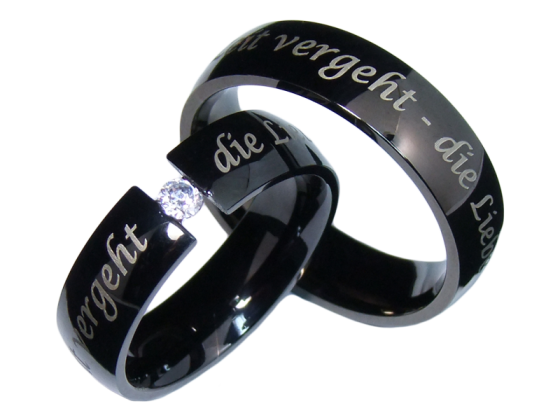 For every taste and every occasion you are guaranteed to find matching rings. 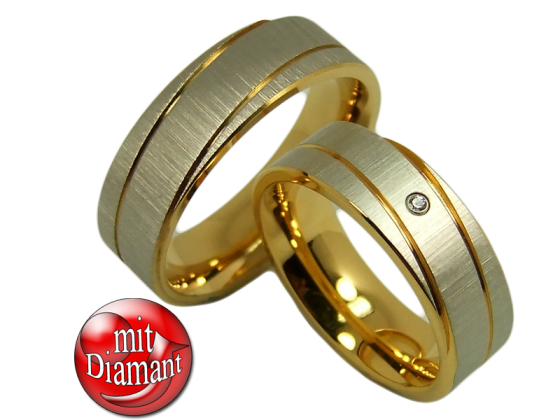 Our wide range shows, that high-quality jewelry can also be beneficial. With special care and attention to detail we select our collection, which leaves no wish unfulfilled and makes online shopping a special adventure. 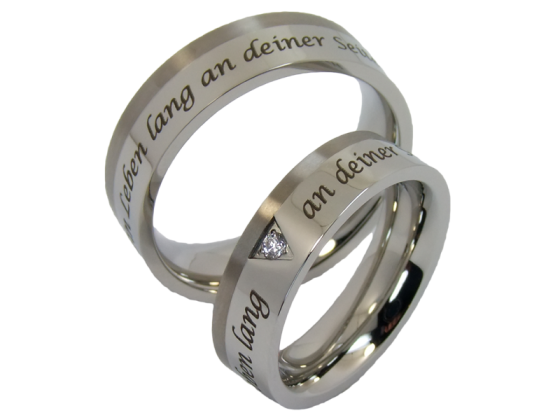 All rings from our collection in our online shop you can order online as a couple or as individual rings. 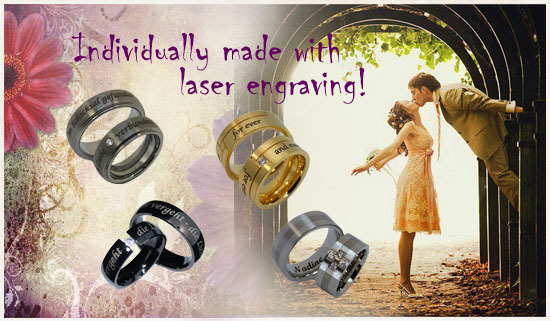 On your demand, your desired rings can be designed with a needle or laser engraving to make it a very personal and unique jewelry piece. For all indecisive men and gift seekers we provide vouchers in various price ranges - you are guaranteed to find the right thing. To be informed about news and promotions from our online shop, you are welcome to subscribe to our newsletter. A user-friendly ordering process, flexible payment options and fast delivery complement our service. This makes your day the best day in your life! 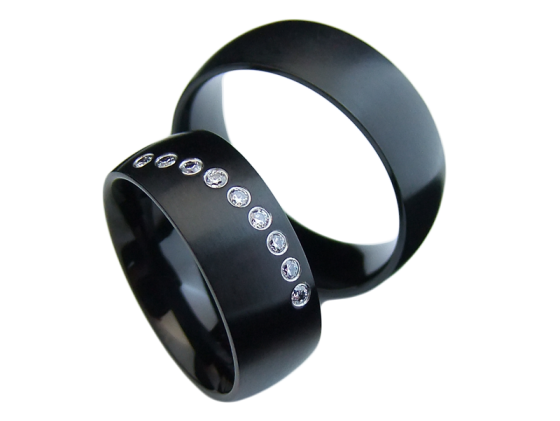 Our collection includes modern and trendy rings made from various materials with special properties and a very good price-performance ratio. 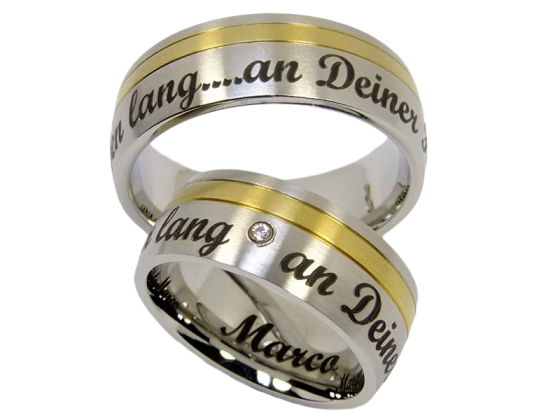 Wether wedding rings made from stainless steel or engagement rings made from tungsten or titanium - here you find rings, which are high-quality, modern, stilish or classical and comply with all requirements and expectations. 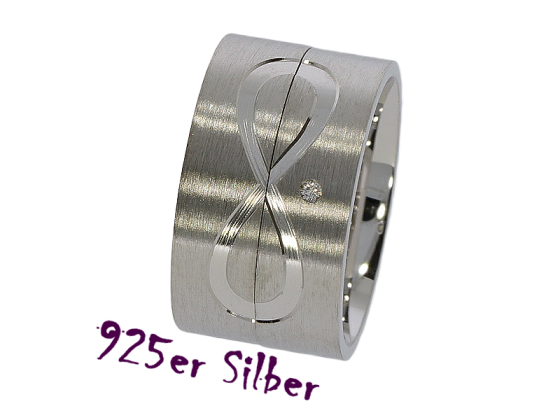 The combination of two materials as stainless steel and titanium or grafting with diamond or cubic zirconia turns your rings into a stilish accessory and highlights your personality. 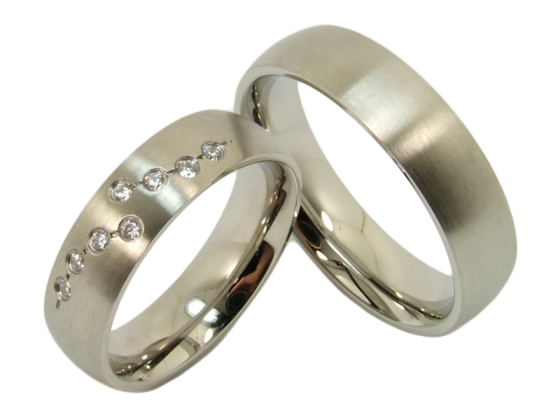 Wedding rings made from stainless steel are very robust and have no metall debris as gold or silver. 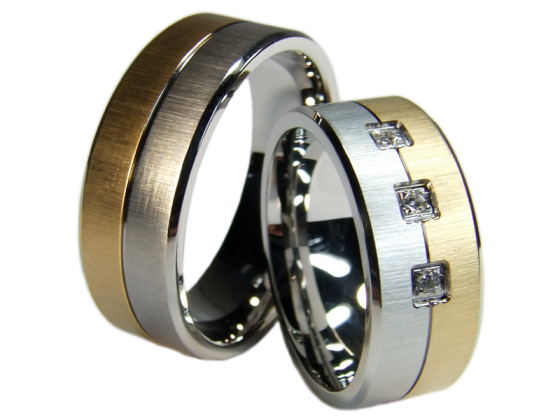 In addition stainless steel rings need little care, neither they rust nor tarnish. Polished or matt surfaces keep their original condition much longer. 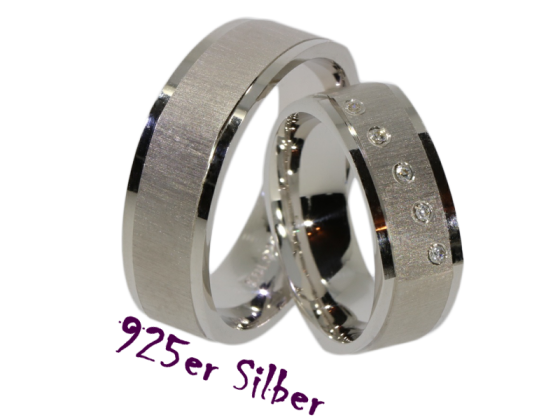 Stainless steel is a good combination to other materials as silver or titanium. 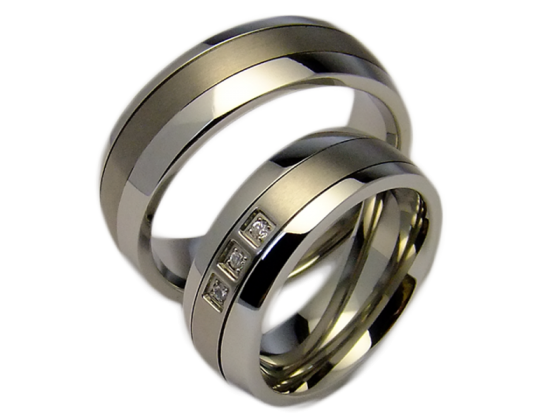 Titanium rings are very hard and have only half the weight of stainless steel. They are very skin-friendly. 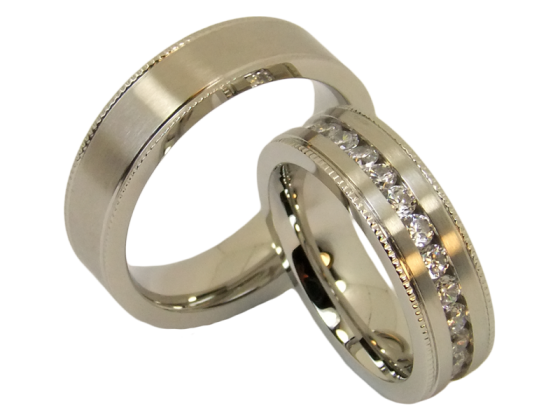 Typical for titanium is the silver-gray surface, that is corrosion resistant and will not tarnish. The material is easy to clean. 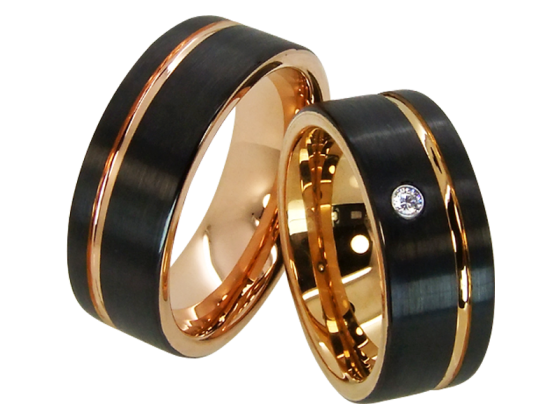 Rings made from tungsten are slightly heavier than wedding rings made from stainless steel or titanium. 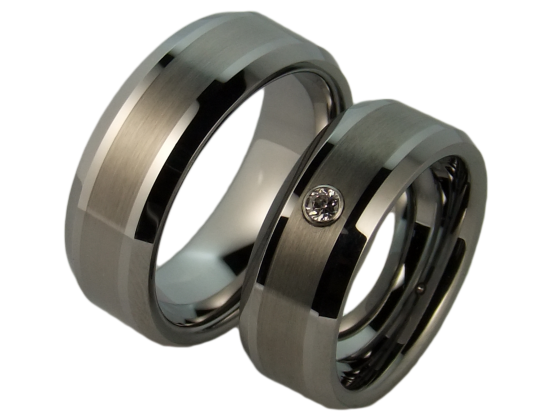 Tungsten is the hardest known material after diamond and is therefore considered highly scratch resistant. 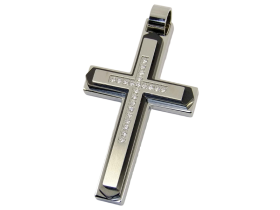 Despite its hardness, the material can be polished very good. Even after many years the surface will be free from scratches and still got a deep mirror shine. 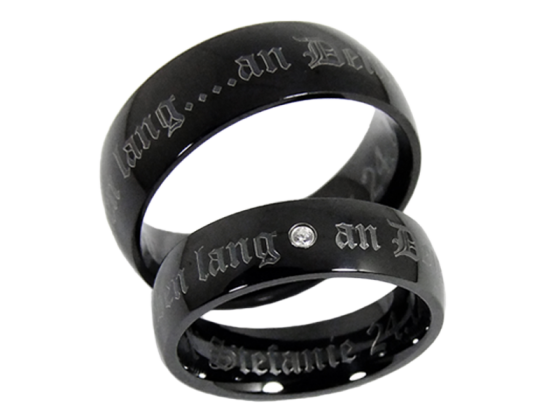 This gloss gives tungsten jewelry its fine and extravagant design. 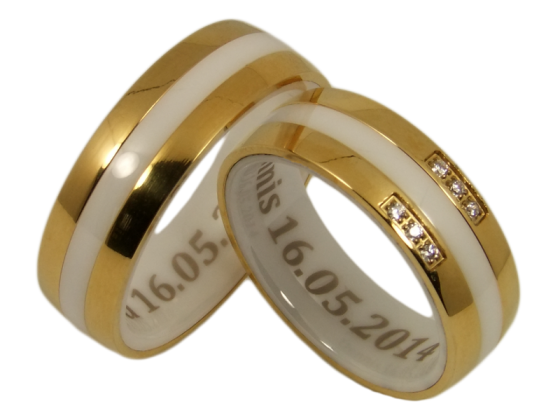 Ceramic rings are the newcomers! 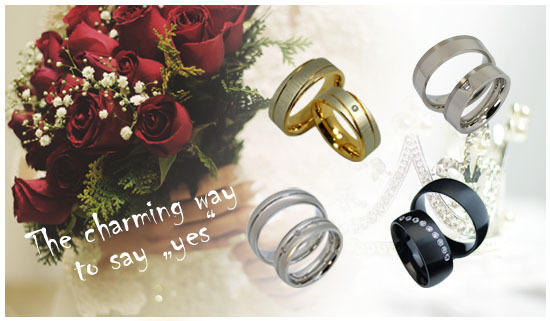 They are very scratch- and corrosion-resistant, they keep their shape, they are lightweight and skin-friendly. A wide range of colours completes the picture.